There have been a few periods of long neglect in this blog's three-plus years of existence, but none which have coincided with as much prosperous real life activity as this past month. And in the midst of not getting anything posted here, lots of ideas have piled up so I'm now hoping to get back to writing here, getting some posts churned out. First, a bit of catching up. I completed my 28th journey around the sun recently and had a pretty relaxed, subtle, though lengthy and memorable birthday celebration. Most importantly, I had quite a miraculous and mind-blowing synchronicity/serendipity occur. On the eve of my birthday, during a rare rainy night in Austin, I ventured over to one of my favorite sources of sustenance, a cafeteria-style eatery called Casa de Luz. Casa de Luz is a special place, essentially a restaurant in the middle of a holistic integral health center. Always seemingly buzzing with a positive spiritual vibe. Of course, the food is very healthy---all macrobiotic. And one always tends to meet interesting people there. Whenever I go there by myself, I seek to sit next to a stranger and engage them in conversation. Twice this has resulted in meeting people who were essentially exactly who I needed to meet at that moment (one a prize-winning poet who strongly encouraged my writing and another a master physical therapist who eventually gave me much-needed gratis treatment on my bum knee). This time, as soon as I walked in I spotted a gorgeous young woman sitting alone at a big table and immediately decided I had to join her. I asked if I could sit with her and she said yes, we got to talking, and it turns out she was originally from Staten Island, less than 3 miles away from where I grew up. As soon as she mentioned where she was from, my head virtually exploded and pretty much everything since that moment has felt like a dream. Still, almost four weeks later, I'm trying to assimilate how all of it can be real. In all my travels and with all the people I've met since leaving home five years ago, I don't recall ever meeting anyone else who actually grew up in Staten Island (though I do have a friend in Austin who lived there for four years), so the fact that a beautiful woman who I'd---admittedly somewhat courageously---approached on the eve of my birthday happened to be from there struck me powerfully. Like I said, Casa de Luz is a special place. We hit it off immediately, conversing for almost 2 hours (she's not only beautiful, but intelligent, funny, artistic) and then exchanged contact info before leaving. The next day was my birthday but since it was a Thursday, I'd held off on making any major plans until Friday night. Seeking to reenact the great vibes I'd felt with her the night before, I contacted the gorgeous Staten girl to see if she'd like to have dinner again that night. Alas, she had plans but quickly arranged for us to go out on a specified night soon afterward. So I spent the day of my 28th birthday floating along the river on a paddle board, swimming, and then later went to an art museum with a friend. After the museum we went to get some dinner and, sure enough, there was the same Staten girl sitting in the restaurant with her friend. We were actually born in the same hospital, played basketball for the same church as kids, and have many other hometown connections, but for the first 28 years of my life we never met. Then we met twice in the span of 24 hours surrounding my birthday, deep in the heart of Texas. We've gone out many times since, each date better than the last. Adding intrigue to the powerful events that occurred around my 28th birthday is the idea of Saturn's Return which I was just recently informed about. The planet takes approximately 28 years to revolve around the sun so around the time of one's 28th birthday, the planet returns to the spot where it was at the time of their birth. This is said to be associated with major transitions and important changes in one's life. I think I can vouch for that. The birthday celebration lasted for about five days, all told. Nothing wild, just spending time with friends, hanging out and doing Austin things. During the weekend, I got to go see one of my all-time favorite baseball players, Manny Ramirez, ply his trade for the local minor league team. slightly heavy-set Manny drew lots of excitement from the crowd, most of whom seemed there to see him play. Batting cleanup and serving as the designated hitter, we only got to see him on the field when he came to the plate four times. Sitting just a few rows behind the home team's dugout, my first glimpse of the notoriously childish Manny was perfect: he stumbled stepping out of the dugout toward the on-deck circle and immediately went to swipe at a teammate who'd tried to trip him. He was like an exaggerated comedic stage actor. Wearing the same number 99 on his back that he'd donned while taking the major leagues by storm in his stint with the LA Dodgers, it was a bit disheartening to see his trademark long dreadlocks completely shaved off. He now sported a shaved head, following closely to the Texas Rangers' organizational policy of looking clean-cut. Though he only got on base once via a walk, there were some moments of excitement when he'd take a mighty cut and foul a pitch back. This is, after all, a man with 555 career homeruns, certainly one of the greatest right-handed hitters of all-time and here he was playing in a little ballpark against scrubs in Round Rock, Texas. The crowd loved every minute of him being on the field. So did I. His finest moment came in his first at-bat when he crushed a very loud line drive to deep right-centerfield that would've been a double except for a great running catch by the center fielder. Otherwise, his beautiful swing often seemed a millisecond too slow. Right before we decided to leave, we stood on the concourse watching his final at-bat. Next to us, a Mexican family was screaming encouragement in Spanish at him and the sunset made the sky a gorgeous pinkish orange. The former star swung late on two fastballs which loudly cracked the catcher's mitt and there was a slight tint of worry in the focused crowd. Our hero may really have lost it. He caught up to the next fastball, but smacked it for a fly ball to center field. An easy out and that was it. Today, the Texas Rangers officially released Manny and it's quite possible we'll never see him play baseball in the United States again. If so, I'm thankful for the birthday gift of getting to see the notorious star from Washington Heights taking one last at-bat as the sun set on his colorful career. Sounds like a pretty great Saturn Returns, PQ. I wouldn't say that 28 was like that for me. But interestingly enough, Tom and Cathy and Leslie and I from our Wake group all had a psychic reading on our 28th birthdays, which were the same year, because we somehow had come in contact with this psychic. I don't know how accurate the readings were, but we all know each other to this day, which ain't nothing. Many felicitations of the day. And I bet Manny would be happy to know that he had a true fan out there witnessing what may be his last U.S. performance. I still remember Manny hitting a HR off an Angels ("my team" the Angels) reliever in the playoffs. It was a walk-off in Fenway, and I think the ball may still be in orbit. That ball was crushed (and so was I) and I hated him, he was so dangerous. I hated him in the way that sports fans "hate" a player: they secretly are thrilled by the power, the prodigiousness, the overwhelming skill. I recall being 28 and magical romantic things happening almost nightly. 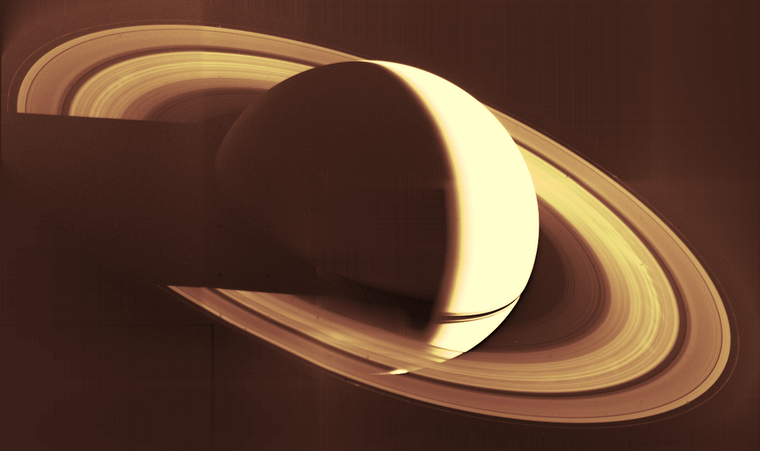 But I did not know about Saturn at the time. @Seana: Thank you, as always. Would love to get a psychic reading sometime soon. Though I did hang out with a gypsy woman last Thanksgiving who read my palm and gave me some important advice that seems to have played a major role in my getting to where I am now. @Michael: I believe you're talking about Manny's walk-off bomb against K-Rod in the 2007 ALCS, where he had one of the most ridiculous celebratory stand-and-admire moments I've ever seen after a homerun. Some players you love to hate, and some ya kinda hate to love. When I showed my new lady your (extremely flattering, thank you!) line about "what an outstanding mind she's with" she quipped "Of course, that's my favorite thing about you." A gorgeous woman who not only tolerates but actively encourages my yapping my ideas about Finnegans Wake, hip hop, etc as she always does is golden in my book. So, yes, I certainly do have "an appreciative line" on her---in fact, already composed and recited a poem of many such lines to her. Magnificent site. A lot of useful info here. I am sending it to some pals ans also sharing in delicious. And of course, thanks for your effort! Check overflow call answering for best Call Answering.